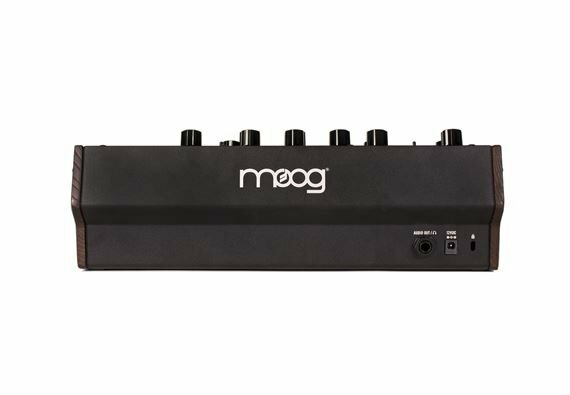 Shop Moog Mother 32 Semi Modular Analog Synthesizer from AMS with 0% Interest Payment Plans and Free Shipping. 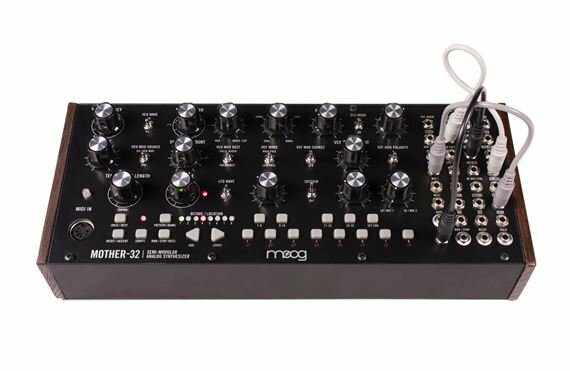 Moog Mother-32 is the first semi-modular tabletop and Eurorack synthesizer from Moog. 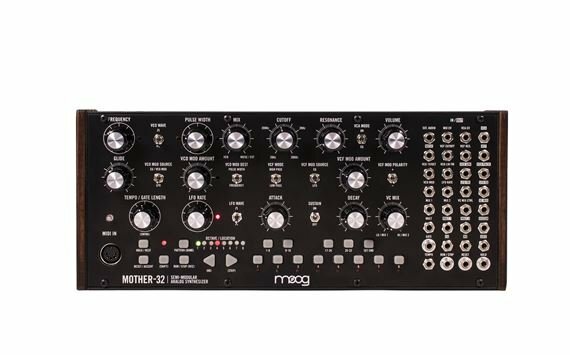 The Mother 32 adds raw analog sound, sequencing and extensive interconnectivity to any electronic or modular ecosystem and was meticulously designed to provide musicians with a diverse array of creative tools to inspire new music, unique sound and endless sonic exploration. It comes secured in a rugged extruded aluminum skiff with wood sides and features a modular patch bay with 32 patch-points for extended synthesis complexity and an assignable CV jack with 16 assignable sources. 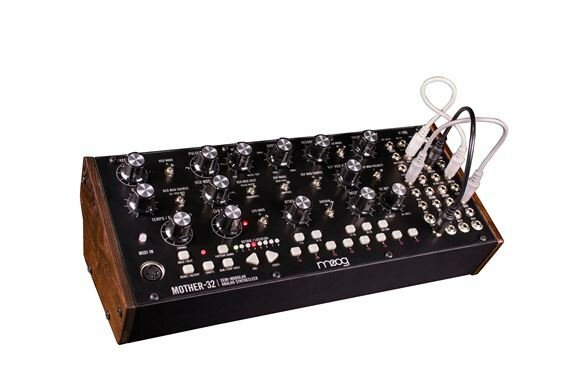 The Moog Mother 32 is Handcrafted in Asheville, NC. In KB Mode, the Keyboard is used to play the instrument, enter sequence data and transpose sequences. In Step Mode, the keyboard functions as the step sequencer interface and is used to enable and mute steps, update note data and select sequence banks. Compact, powerful and while saving a few extra bucks. Instantly hear the difference in all of my music with this piece. I have this plus the MOOG DFAM. The combo is dangerous. If you like pushing your music to the next level and make the move to some analogue equipment that is known for quality this is for you. I always enjoyed the sound of Moog synths and this fits in perfectly with my collection. It'll take a few moments to understand how everything works but we live in the age where the internet always has tips and tricks to operate. This sounds very cliche but when I use this in my music it can really set the tone of where you want to go and the sonic possibilities are limited to your imagination. IT IS A MUST HAVE ESPECIALLY WHEN YOU ARE BEGINNING TO BUILD UP YOUR STUDIO. Build is as you would expect from MOOG just impeccable. Sound is just outstanding and the perfect way to bring that MOOG sound into your modular world. It's also a great entry level into the modular world giving you a sequencer and keyboard which alone would cost nearly as much or more as this entire module. You get a lot of bang for your buck with the Mother 32. 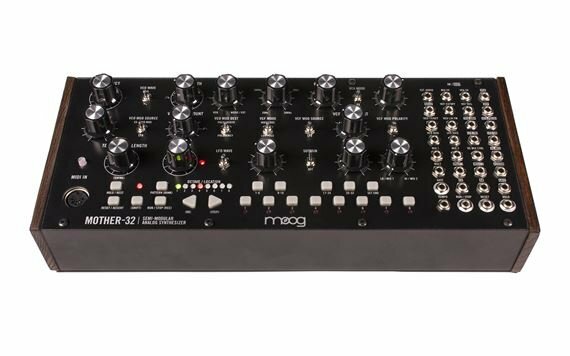 I didn't realize that this MOOG MOTHER-32 was out.. then I came across a friend using it on Instagram. It's ridiculous that you get sooo much synth, for some little. AMS was awesome and ships fast! This tiny synth sounds great, and has many great features. I love the sequencer, and all the functionality the patchbay provides. My only gripe is that there is no usb connectivity, so if you want to control it by keyboard you need a serious unit. Otherwise, I want to buy at least one more, get the triple rack, and fill one tier with Euromodules. Big fun.